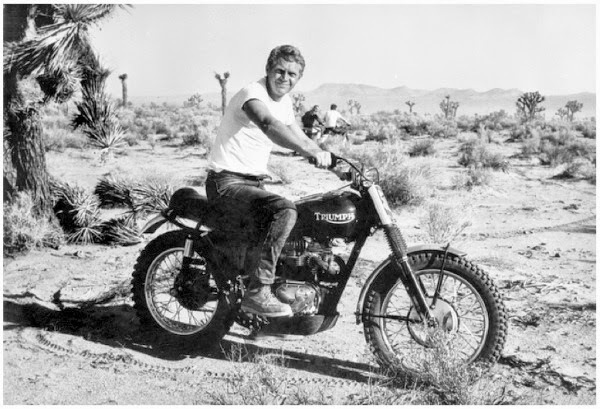 Becoming a professional race car driver wasn't in the cards for Steve McQueen but that didn't stop him from pursuing racing as a hobby. Over the years he spent much of the money he made from acting on high-perfomance vehicles. His love of racing transferred over to his films too including The Great Escape (1963), Thomas Crown Affair (1968), Bullitt (1968) and the quintessential racing movie Le Mans (1971). 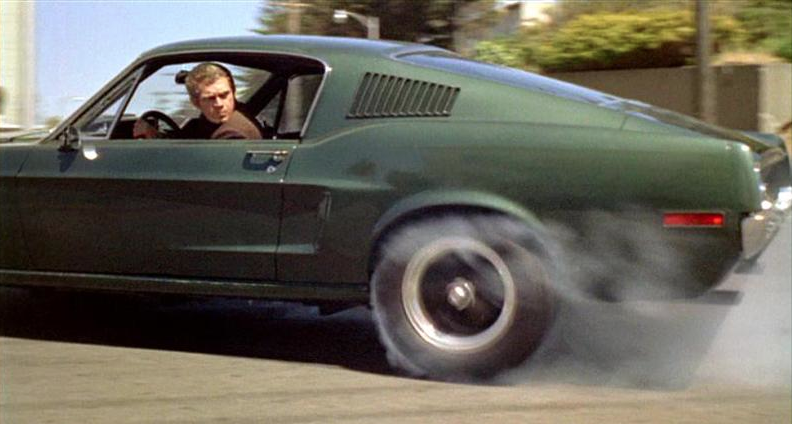 For safety reasons, insurance companies prohibited from doing many of the racing stunts in his films, much to his dismay. But when he wasn't a filming a movie, he was free to race to his heart's desire. Motorcycles - Triump Bonneville, Husquarna 400 CR, Indian Chief, a variety of antique motorcycles that dated from the 1920s and earlier. 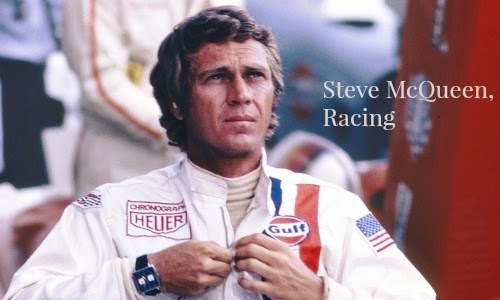 Read my review of the book Steve McQueen: A Passion for Speed here.